UP SAMA (Samahan ng Mag-aaral ng Asya) is a non-aligned, non-profit academic organization for all students of the Asian Center, UP Diliman. An Asian community that recognizes and respects diversity, upholds and protects the rights and aspirations of its peoples, contributes toward genuine development, and commits to the role of scholarship and community-building. Our mission is to promote and forward new frontiers of learning, provide relevant approach in research, cultivate an environment conducive for independent and critical thinking, and create spaces for synergy and linkages to external stakeholders. 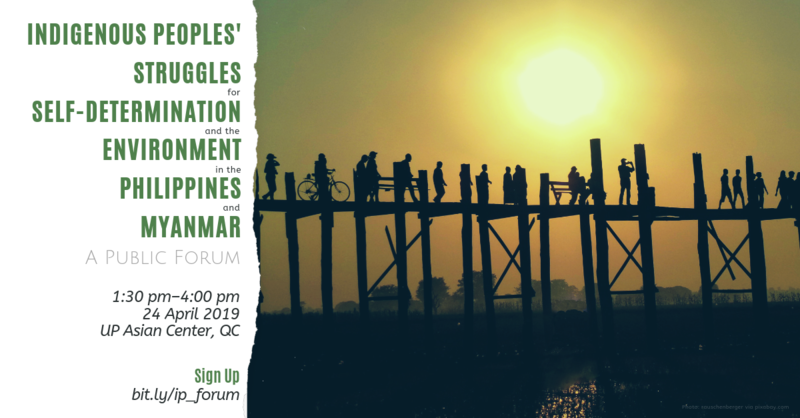 The UP Asian Center will be holding a public forum, “Indigenous Peoples’ Struggles for Self-determination and the Environment in the Philippines and Myanmar” on 24 April 2019, 1:30 – 4:00 pm, UP Asian Center, Quezon City. The event is free and open to the public. [Cancelled due to earthquake] Join a yoga session, learn about classical Indian dance, and enjoy traditional Indian cuisine at “Maza-Ya: A Celebration of Indian Culture” which will be held on 23 April 2019, 2 pm – 5 pm at the UP Asian Center, Quezon City. The UP Asian Center will be organizing a public lecture, International Marriages of Southeast Asian Women: Emerging Trends and Issues, on 8 April 2019, 1:30 pm to 3:30 pm, at the Asian Center, University of the Philippines Diliman, Quezon City. The lecture is free and open to the public. 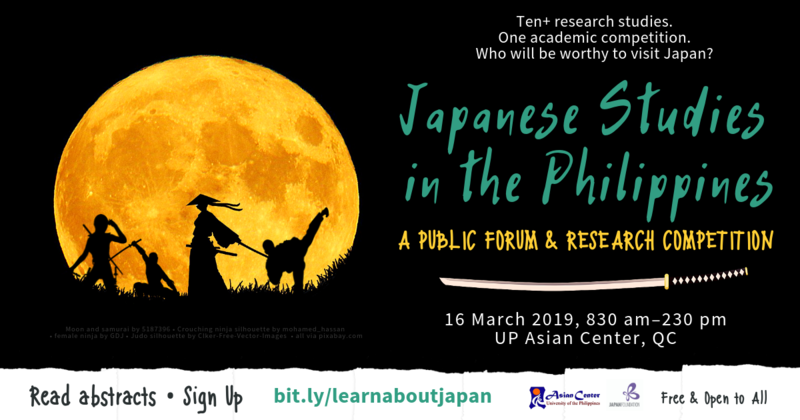 The UP Asian Center and the Japan Foundation Manila will be holding a public forum, “Japanese Studies in the Philippines,” on 16 March 2019, 8:30 AM – 2:30 PM, at the UP Asian Center, Quezon City. The forum is free and open to the public.